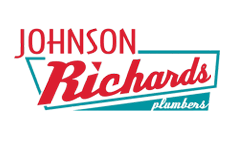 As members of the Master Plumbers Association, Johnson Richards are plumbing experts. Since 1934, we have been providing Whangarei and Northland with expertise and excellence in service to both residential and commercial sites. Our highly qualified plumbers have been used on a vast range of plumbing projects, from fitting new builds to the ongoing maintenance of the complex plumbing of large commercial sites. Locally owned in Whangarei, our levels of service are absolutely paramount in everything we do, ensuring that our reputation meets the professional standards of our work. We take great pride in looking after residents of our home town and the surrounding area, whether in the design and implementation of plumbing systems in new homes or the maintenance and repair of home plumbing systems. With many years of experience in residential plumbing in Northland, our expert fitters will easily be able to advice and repair, regardless of the age of your plumbing! We will also be able to help you cut through the minefield of choosing the most effective system for your home. Plumbing becomes more technical and the range of products available increases each year, and whilst choice is always an advantage, how can you tell whether a glossy sales pitch will translate to the advertised benefits on your home? An expert will very quickly be able to point you in the right direction, meaning that you will enjoy comfort, efficiency and reliability for years; old home or new. Johnson Richards are trusted by many local businesses to maintain their plumbing, ensuring that they are never let down by their infrastructure, and that the energy efficiency of their plumbing is at its maximum. A constant, reliable heating and hot water supply is absolutely essential to many businesses, and you must be able to trust that your plumbing is secure and efficient. We have industry leading experts in commercial plumbing services, offering a wealth of experience in getting the very best from your supply.